Our fluid lines offer safe and leak free connections between syringes, cartridges, dispense valves and pressure pots. Use this industrial grade feed tubing with most fluids, liquids, solvents, adhesives, inks and gels. 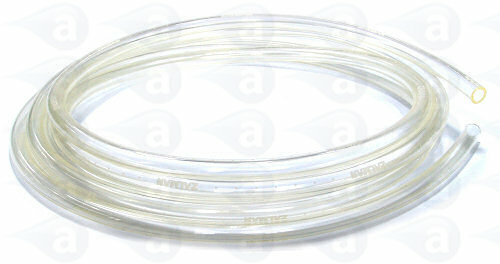 A flexible clear polyethylene 6mm OD feed tubing 4mm ID. Suitable for most fluids and solvents providing a safe feed from pressure pot or cartridge reservoir to any dispense valve. Priced per 10 ft lengths. Produced with compounds listed by NSF Standards 51 and 61, and in compliance with FDA 21 CFR 175.105. Use with 14mm ID barb fittings or 6mm compression fittings..